One of the most popular indoor games among teenagers is Bowling and Kronos Games through the iPhone and iPod platform has bought it to the mobile gaming world. 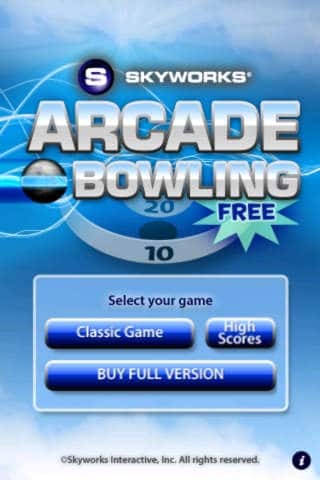 The Arcade bowling Lite iphone game is extremely popular and easily downloadable from the iTunes store. Though the itunes game available for free download but one can only play in the practice mode, but it is a worth a try. What is new is that the controls and graphics. 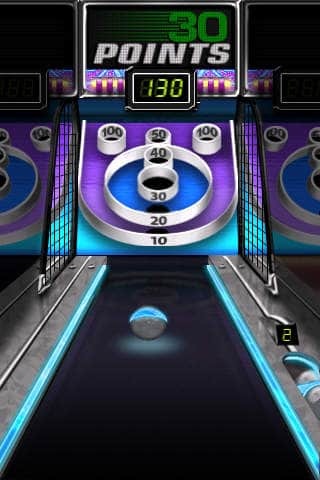 The new version of this bowling game app has a new set of music tracks to keep your senses attached to the game. There are even new bowling locations that help the user by trying out new places. The new user interface is a total surprise where one has to flip and shake up his iPhone to play. One can even change the ball to any color as well as decide on the pin combination. As a bonus, a trivia of short questions is included in this wonderful package. This Arcade Bowling app game is free for iphone, ipad and ipod touch is available in various languages and works with the latest iPhone support. Get the Bowling Game App from iTunes Apps Store here.